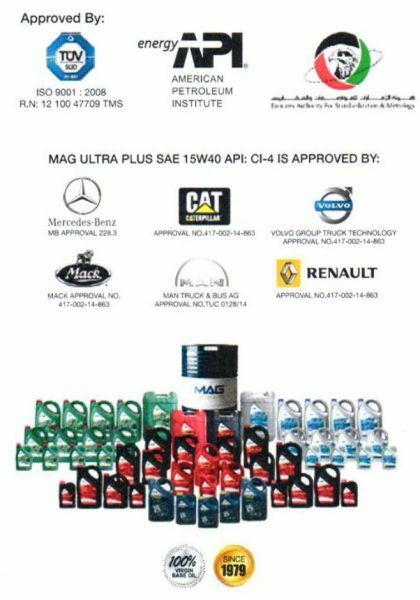 MAG Ultra Plus SAE 15W-40 is a high performance engine oil for application of all un-supercharged engines, turbo engines and highly stressed diesel engines. 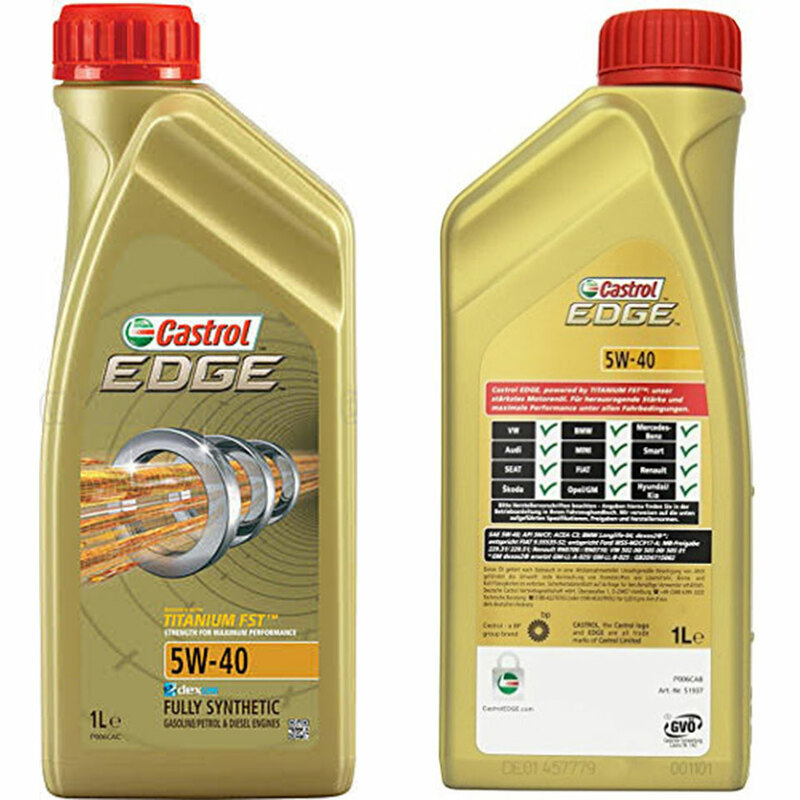 Because of the low ashes content, this oil can be used also for petrol engines. 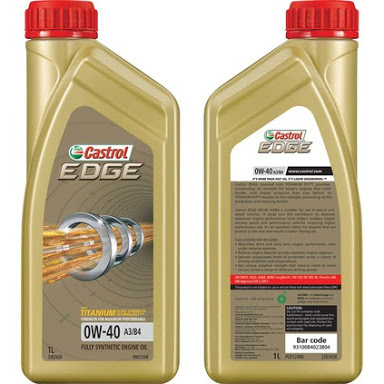 The compounds of unconventional base oils, virgin synthetic components and special add tives guarantee fairly long oil change intervals and high wear protection. 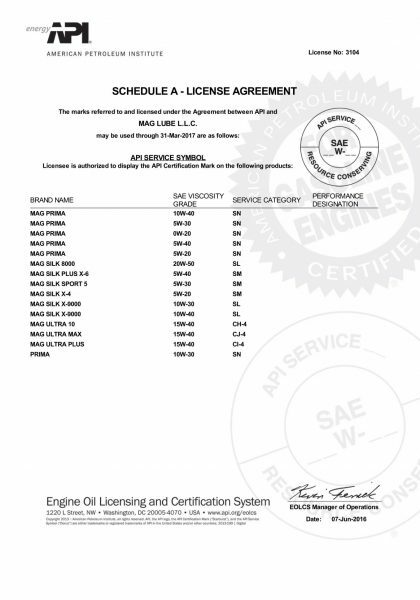 We have all certifications upon requested. 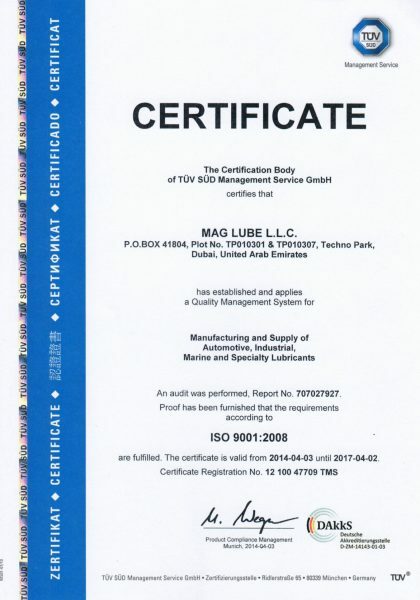 If you require any other certificates for verification purpose, please contact us directly.